All Intensive Care interventions and procedures carry a degree of potential risk even when performed by skilled and experienced staff. When a post operative cardiac patient is connected and breathing with the help of a ventilator, there needs to be an experienced ICU nurse present at all times. 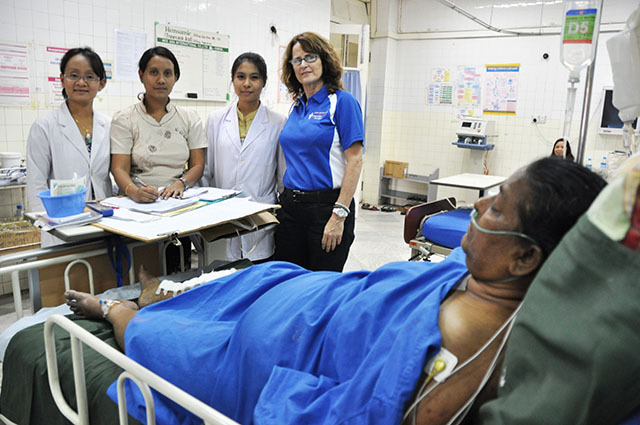 Open Heart International ICU Nurse, Rachael Curran instructing the local ICU team about the use of a ventilator, or breathing machine. In cardiac operations, physiotherapists have a significant role to play preop and post op, especially after the patient has been disconnected from the ventilator or breathing machine. Physiotherapists assess lung and exercise capacity in patients with heart failure preoperatively. While after the operation and extubation, physiotherapists help reduce pulmonary complications by getting the patients to breather deeper and getting them walking as soon as possible. 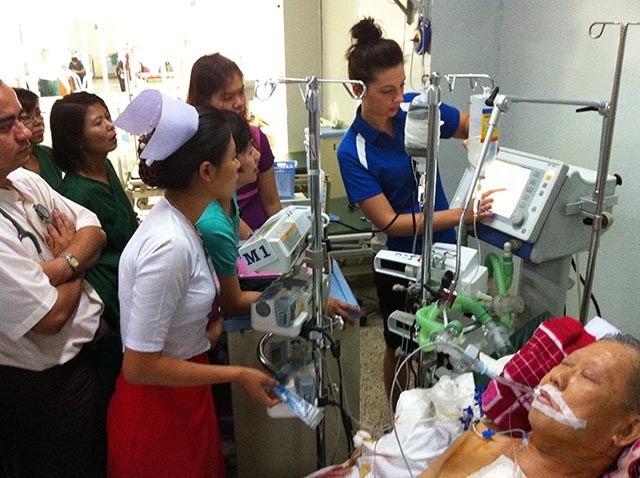 Open Heart International Physiotherapist Katrina Russell teaching Yangon General Hospital Physiotherapists. 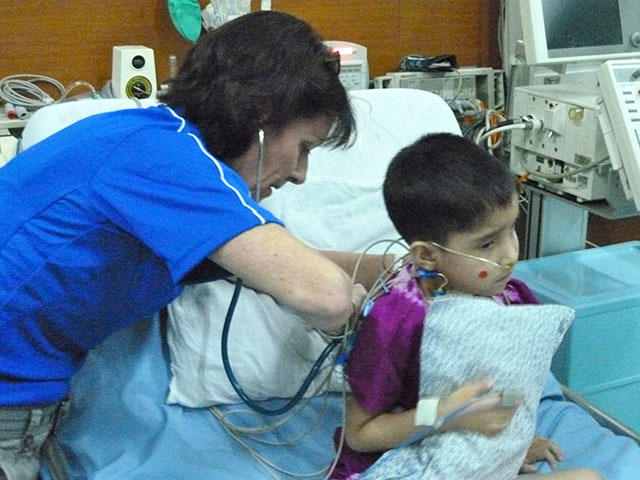 Open Heart International Physiotherapist, Christina Darwell assessing the lungs of a child that has had post operative cardiac surgery at the Military Hospital in Yangon.